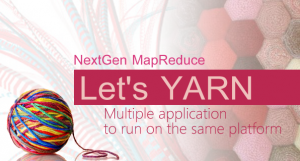 247 News / Hadoop 2.0: Let’s Yarn! YARN is a re-architecture of Hadoop that allows multiple applications to run on the same platform. With YARN, applications run “in” Hadoop, instead of “on” Hadoop. YARN allows the simultaneous execution of multiple applications on HDFS, the distributed file system while providing better monitoring of data throughout its lifecycle. Analyze batch processes, but also data streams and can also analyze interactive query. With the increasing use of big data in business, comes the need to expand the functionality of hadoop nature from batch processing into various types of processes, such as interactive, stream, online, and so forth. In addition, with the increasing amount of resource that is managed in hadoop, there’s a need for a system that allows the utilization of these resources more efficiently. These needs can be met by the presence of Yarn, which marks the birth of Hadoop 2. YARN is a re-architecture of Hadoop that allows multiple applications to run on the same platform. With YARN, applications run “in” Hadoop, instead of “on” Hadoop. YARN allows the simultaneous execution of multiple applications on HDFS, the distributed file system while providing better monitoring of data throughout its lifecycle. 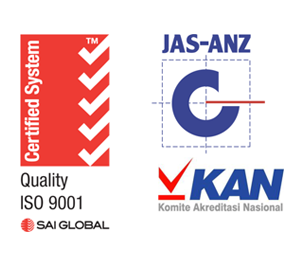 It enable us to perform not only batch processes, but also data streams and interactive queries with hadoop. The Resource Manager is a pure scheduler that optimizes cluster utilization according to criteria such as capacity guarantees, fairness, and SLAs. Also, unlike before, there are no named map and reduce slots, which helps to better utilize cluster resources. Implementation of Yarn (and therefore Hadoop 2) opens wider possibilities for business to gain advantages from big data.